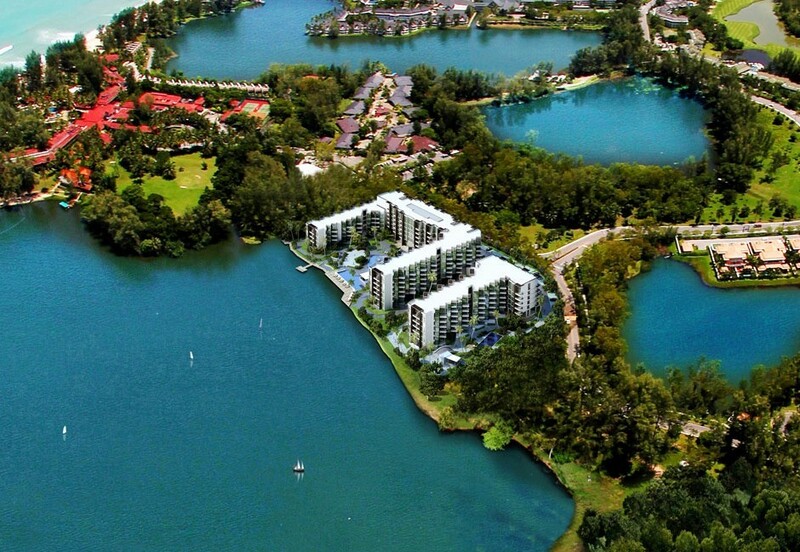 Cassia Residences Banyan Tree - A Lifestyle Investment? Cassia Residences Banyan Tree - A Lifestyle Investment? Cassia Residences Banyan Tree. Banyan Tree is launching Cassia Residences Banyan Tree in Phuket to Investors who wishes to leverage on Banyan Tree brand. Phuket has long been known by savvy international travellers for its idyllic beaches, premiere marine sites, luxury hotels and resorts, world-class golf courses, marinas, and vibrant nightlife. According to The Nation newspaper reports, in low season, Phuket was a year-around destination and its hotel were enjoying occupancy rate of 60 to 70%. The first 11 months fiscal year that began in October 2012 recorded more than 10 million tourist arrivals in Phuket. The full fiscal year that ends this month could record 12 million visitors. The office believes that in the next fiscal year the number of tourists will increase to 14 million if there are no negative developments such as political problems. To pursue the 2014 growth target, The Tourism Authority of Thailand would hold roadshows and join with the private sector to launch campaigns to lure “quality tourists”, especially from Germany and Australia. The main customer targets are those who visit the province for health and spa services, golf, seminars, and honeymoons. The number of international tourist arrivals to Phuket grew by 6.9%% year over year to 962,953 arrivals in the first quarter of 2014. An increase in direct international flights to Phuket have helped insulate it from any negative impact from the ongoing political turmoil in Bangkok, according to CBRE. China and Russia were the largest feeder markets with 225,949 and 228,691 arrivals to Phuket Airport, respectively. There was a 1.6% year over year decline in Chinese arrivals, a market that had been growing at 90% per year, while Russian arrivals grew by 20.4% year over year this quarter. These two key markets constitute about 50% of the total. The other key feeder markets, including Sweden, Korea and Australia only account for about 5% each. The data shows the sensitivity of Asian feeder markets to political unrest in Thailand and the lack of concern from Russian tourists regarding the same. CBRE believes that Phuket will remain one of Asia’s leading tourist destinations. The airport is being expanded which will reduce capacity problems. The dependence on a limited number of feeder markets increases risk, but there is still potential for growth. There were about 100 million outbound Chinese tourists last year and only 4.7 million of them came to Thailand. Banyan Tree. Cassia Residences. A Lifestyle Investment! Why Cassia Residences Banyan Tree Phuket? A LIFESTYLE INVESTMENT: Physical property ownership , choice of Investment and lifestyle rental program, backed up by professional property management services. BRAND BACKING: Under Banyan Tree group, Cassia enjoys the backing and experience of a globally respected and trusted hospitality brand. BETTER RETURNS: Hotel service apartment concept generates a quicker ROI than a pure hotel room as demand increases. STRONG MARKET POTENTIAL: An appealing and affordable investment opportunity offers broad appeal and ease of investing, with compact service suite sizes that will suit varying budgets. ATTRACTIVE LEASEBACK MODEL: A strong value proposition for potential investors based on revenue sharing – lower operating costs translate into higher rental yields.